In 1995 OMA published S,M,L,XL. Consisting of more than 1300 pages and weighing 2.7kg, the book quickly joined the canon of essential postpostmodern texts on architecture, mostly for no other reason than it existed. Whatever content (see what I did there?) that Koolhaas, Mau and OMA included therein was buried in the detritus collected over twenty years of practice. Architects are no strangers to vanity publishing monographs and S,M,L,XL re-invigorated the genre by proving that if a practice was going to publish a book about itself in the service of self-promotion, it might as well throw all the spaghetti at the wall. 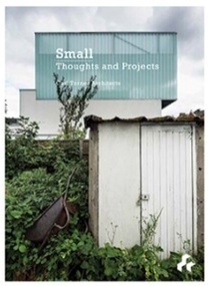 On receiving Small: Thoughts and Projects by Carl Turner Architects, my first thought was that it might represent the first instalment in a four volume series. Covering the practice’s first seven years in one tenth the pages of S,M,L,XL, Small finds a different balance. Fifteen projects and seven ‘thoughts’ are categorised as urban, suburban or rural. The projects, all mostly built, range from the scale of low cost exhibitions to large domestic properties. The ‘thoughts’ are modest and jovial, clearly inspired by both teaching and the practice of both designing and making buildings. The book celebrates not only the small scale of the projects therein, but also the small size of the practice itself. Smallness, fragility and the short-term are highlighted not as threats, but as opportunities for sustainable employment. Given that Carl Turner Architects has existed for only a few years longer than the current recession, it is undeniably the right of a practice to celebrate it’s continuing existence. Credited to the practice rather than its director (although the text regularly slips into the first person), the book makes a rewarding connection between the modest nimbleness of a small practice and carefully realised projects. Although the Slip House (2012) may be amongst Turner’s more notable buildings (winning the 2013 RIBA Manser Medal and RIBA National Award, and featuring in an episode of Grand Designs), it was a pleasure to rediscover a few projects here in East Anglia – the Ochre Barn and adjacent Stealth Barn in Walpole Saint Peter (both 2011). 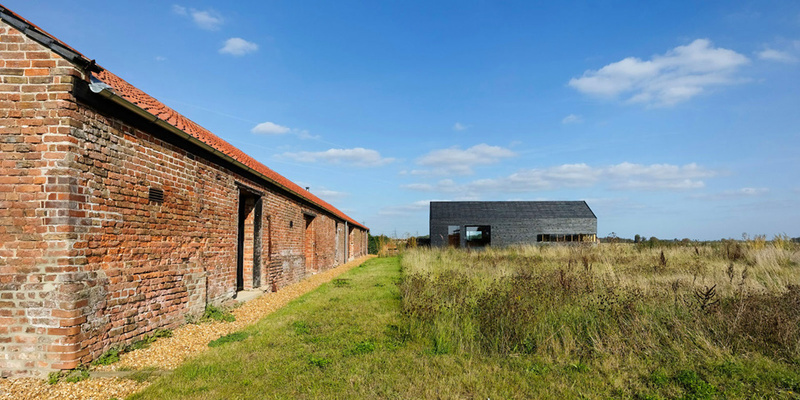 These projects remind the reader of the tremendous architectural opportunities of the Fens: land is cheap (a hundred metre stretch of single street in the little village of Prickwillow is home to two early houses by Jonathan Ellis-Miller and one by Meredith Bowles) and old barns are less likely to have been gentrified. Not to mention the fact that the vastness of sky is enough to make you cry with joy and/or fear on a daily basis, making a perfect backdrop for houses as objects-between-land-and-sky. The sub-£35,000 Stealth Barn is a particular favourite of mine, not so much because of its low cost (having a contractor for a brother helps, according to a cynical acquaintance of mine) but because of the way in which it uses a set of pad-stone and brackets to plant the house on an existing piece of farmyard concrete hardstanding. In generational terms, I may be a child of Thatcher, but that means I’ve arrived late to the housing market party and all the decent habitable barns have been converted (Turner and his wife sold the Ochre and Stealth Barns to fund the Slip House back in London town). There remain, however, hundreds of these tough little patches of concrete throughout the Norfolk landscape, many of them obsolete. Carl Turner Architects popped a little black box on one of them and proved that they have enormous potential as cheap pad foundations for lightweight and low cost homes. Small, smart and beautiful in its simplicity. The publisher provided the author with a complimentary review copy of this title.